The Lemon Drop | We Create. You Celebrate! My Mallory was turning 12 and she finally was getting her long-awaited Alpaca themed birthday party along with her favorite food, Tacos! 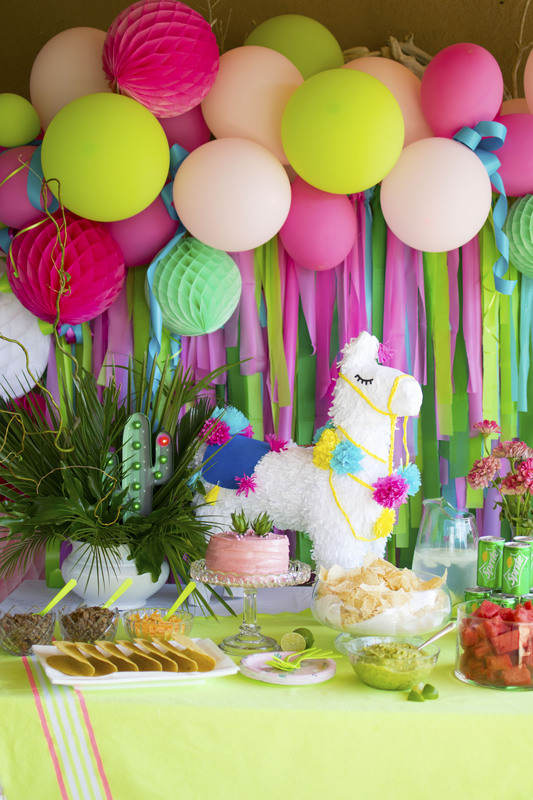 Alpacas and LLamas are trending right now so it wasn’t hard to find themed products, like Target llama plates and an Alpaca Pinata. 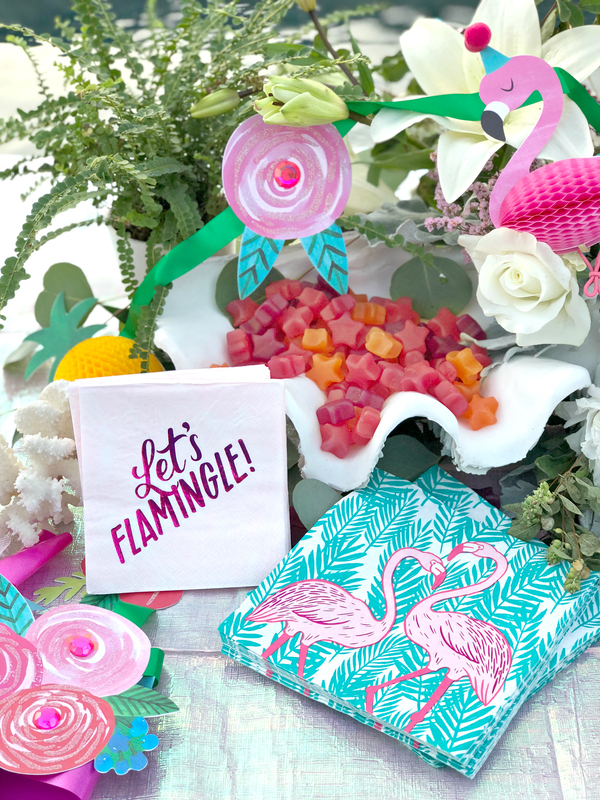 Luckily they were in Mallory’s favorite colors, pink and green which set the mood for the rest of the decor. Say the word “seashells” and I’m in! 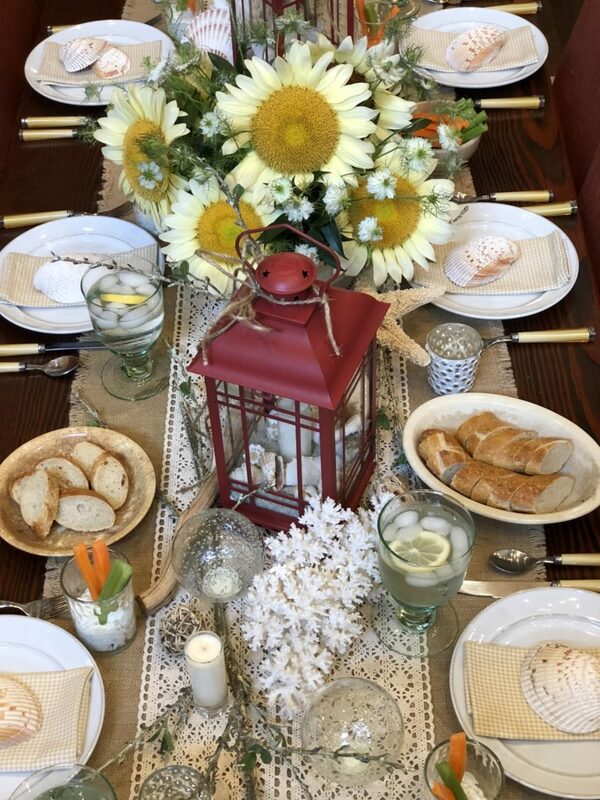 This table was styled by myself and Margie Streater from Nita’s Flowers in Bryan, Texas. Nita’s sells these fabulous red lanterns and faux branches. The rest of the story called for seashells, sand and summer florals. We layered a Pottery Barn burlap runner and lace crochet runner from Hobby Lobby. Then added our red lanterns, with sand and seashells inside and tied the top off with a little burlap rope! The small cylinder candles you’ll see are from Mixture USA. 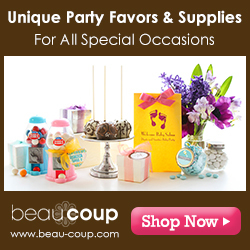 Shop their candles because they are amazing with amazing glass colors. 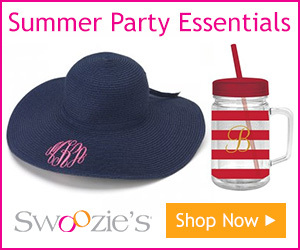 *Not an affiliate with them just LOVE their product! Texas is HOT and it’s almost impossible to find anything growing outside that doesn’t resemble a weed or that isn’t yellow! 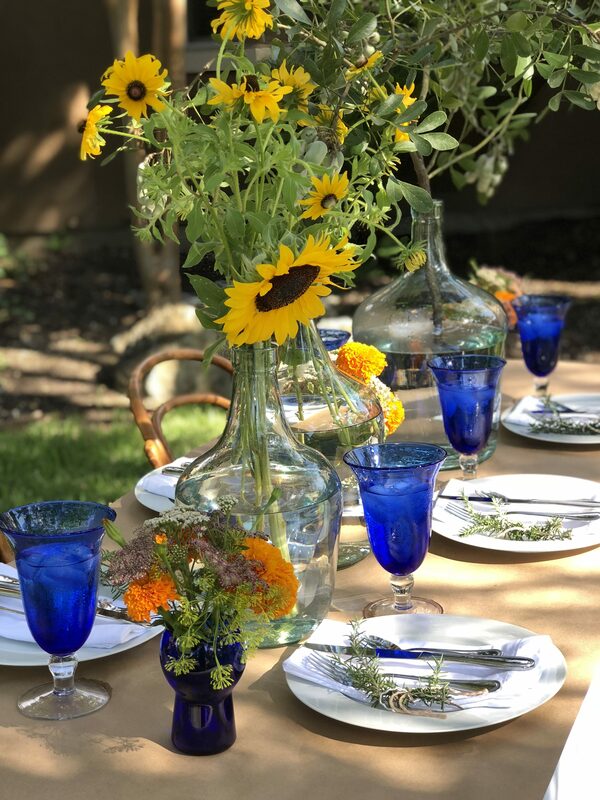 My challenge was to use only things I could pick or cut down for flowers and style a summer table using kraft paper, my large jars and cobalt blue glassware that I’ve collected for many years. Turns out you CAN dine outside in Texas, perhaps under a tree and with freshly picked Texas wildflowers. I hope this look inspires you to celebrate summer!